Optimised Profile Increased safety: 10% larger tyre footprint gives better contact with the road and excellent grip (2). Eco N Grip Increased fuel savings with excellent longevity: The new patented Eco ‘N’ Grip technology uses a tread compound with improved molecular cohesion to reduce heat build-up. Under-Tread Layer Increased fuel savings: Michelin has added a special under-tread layer containing very low rolling resistance polymers to reduce fuel consumption. Legal mentions: (1) Estimate of average savings with Michelin ENERGYTM Saver+ compared to its predecessor, for petrol vehicles, based on rolling resistance tests carried out by TÜV SÜD in 2012 (on 175/65 R 14 T and 195/65 R 15 H) and calculated over the average life span for MICHELIN tyres (i.e. 45 000 km - 2012 internal survey). Compared to its predecessor, 16” sizes, 205mm section width and over. 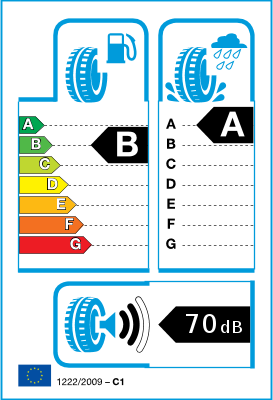 To ensure the quality and performance of your tyres please download our safety recommendations to learn more about about our safety and usage advice. 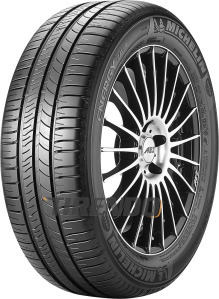 (1) Tests results conducted by DEKRA TEST CENTER at the request of Michelin, in 2014, gap between average kilometers for MICHELIN Energy Saver+ vs BRIDGESTONE Ecopia EP150, CONTINENTAL ContiEcoContact 5, DUNLOP Sport BluResponse, GOODYEAR EfficientGrip Performance, PIRELLI Cinturato P1 Verde Ecoimpact.